Set of basalt stones for stone therapy UMS-28TC, buy for 105 in Europe. This is an excellent choice of massage stones for your beauty salon or a private massage practice. This remarkable set of stones for massage 28 Pcs Mini Body Massage UMS-28TC is a good helper in the work for not only a professional, but also a novice. These stones will be obedient in your hands. They grind so that the mere touch of it brings a pleasant feeling - you feel the warmth of this ancient breed, from which every stone is made. Set 28 Pcs Mini Body Massage UMS-28TC consists of twenty-eight stones of different sizes and weights. This set is enough to carry out the procedure for the entire body. 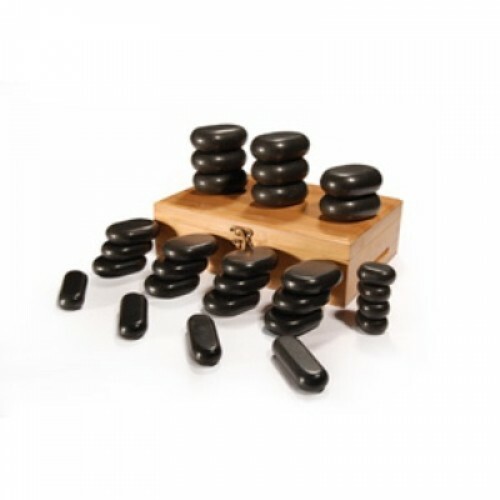 Your customers will absolutely love the massage with these stones, as stones stimulate not only the hands and feet, but also forehead, head, neck.